Below you will find instructions on how to boot and install MorphOS 3.11. In order to download the time-limited demo version, please go to this page. If you would like to learn more about what hardware is compatible with MorphOS 3.11, please visit our hardware compatibility section. If you experience any trouble with MorphOS 3.11, please visit our help desk section. For instructions on how to boot, install and update MorphOS from USB media, please read our USB Boot & Installation Guide. X5000 supports installation via CDROM. Please make sure to update your U-Boot firmware to a recent version that supports booting MorphOS. The Sam460 supports installation both via CDROM and via SD card inserted into the internal SD card slot of the Sam460. We recommend installing from CD where possible. When prompted to do so by the firmware, press enter on the keyboard to activate the boot selection menu. When the boot selection menu appears, press enter again to activate the boot device menu. From this menu either choose '3x12 SATA DVD' or '3114 SATA DVD' depending on which SATA controller your optical drive is connected to. If you are not sure, then try first the one and then the other. Press enter to confirm your choice in the boot device menu, then escape and enter again to select 'boot this configuration'. MorphOS will now start booting. Once it is done booting, follow the on-screen instructions. 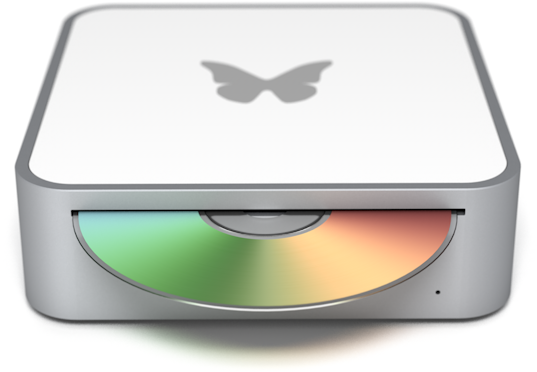 Write morphos-3.11.hdimg to an SD card directly as a disk image. Insert the SD card into your Sam460's internal SD card slot. When the boot selection menu appears, press enter again to activate the boot device menu. From this menu choose 'USB HD'. Press the Media Eject key ( ) on the keyboard to open the drive tray. If your eMac does not boot MorphOS or it has already booted another operating system, reboot and press and hold the 'C' key immediately after the welcome chime. Alternatively you can press and hold the Alt key to get the eMac's boot menu. MorphOS will now start booting. Once it is done booting, follow the on screen instructions. In order to eject a previously inserted disc from your optical drive, press and hold your left mouse button during the reboot or power on process. Insert the MorphOS CD immediately while holding the 'C' key. If the notebook does not boot MorphOS or it has already booted another operating system, reboot and press and hold the 'C' key immediately after the welcome chime. Alternatively you can press and hold the Alt key to get to the Powerbook's boot menu. Turn on the Mac mini. If the mini doesn't boot MorphOS or it has already booted another operating system, reboot and press and hold the 'C' key immediately after the welcome chime. Alternatively you can press and hold the Alt key to get to the mini's boot menu. If your Power Mac does not boot MorphOS or it has already booted another operating system, reboot and press and hold the 'C' key immediately after the welcome chime. Alternatively you can press and hold the Alt key to get to the Power Mac's boot menu. Note: if your firmware doesn't recognize your cdrom (use show-devs to find out), try to use another cdrom drive. Download morphos-3.11-efikainstall.img and put it in the root directory of a USB mass storage device. Insert the USB device into a USB port on the Efika. In order to have access to a mouse and keyboard while you are installing from a USB device, we suggest you use a USB hub to connect these input devices. Press escape on the keyboard until you reach the Open Firmware prompt. MorphOS will now start booting. Please be patient. This may take a short while. Once it is done booting, click on the iWizard icon and start the download of the full MorphOS ISO. Please note that the default ISO download directory is ram: - however the ISO will not fit there. Therefore, you must manually adjust the download path to match the partition you are installing MorphOS to. Run the install application IWizard either from the 'FirstFlight' window or the 'Tools' directory on the Install CD. IWizard will guide you through basic configuration, partitioning, formatting and installation. You need to have at least 1 bootable partition in order to boot MorphOS from the hard drive. In case you are using a Pegasos 1 machine, you should install MorphOS on the first partition and make sure it's formatted with FFS. Otherwise you will have to move the boot.img file to an FFS partition below the 1st 4GB on the hard disk. On any of the supported bPlan / Genesi platforms (Pegasos 1, Pegasos 2, Efika), the boot image must reside on a partition with a 512 byte block size since the firmware in these machines can not read partitions with a different block size. On Macs, only the automated partition layout mode is supported, which will set up the hard disk in a way compatible with Apple's firmware. IWizard will create the partition layout automatically, destroying the previous contents of the hard drive. It is generally best to install MorphOS 3.11 on a clean partition rather than update from 1.4.5. Unless you choose the "update" feature of the install program, the installer will overwrite files except for the MorphOS directory which will be renamed to MorphOS-old prior to the installation. Your :Prefs/env-archive will be copied to :Prefs/env-archive-old as IWizard copies some of the settings to the installed system. If you do decide to use the "update" feature to keep your old settings and icons, please take special note that upgrading from versions of MorphOS older than 2.0 is an unsupported operation; back up your system partition before attempting it and install MorphOS 3.11 from scratch in case of any problems. The boot menu does not allow changes to the mount parameters for technical reasons, so you need to use this parameter instead. BM=BootMenu/S - Enter bootmenu without user intervention. some buggy applications for example. SML is much slower than the new MorphOS 2 memory system however. > boot ... PC="echo *"Hello, world*""
> boot ... PC="dir sys:*Nquit"
Unless noted otherwise, all content of this website is copyright 2003 - 2019 MorphOS Development Team. All rights reserved.